Traditional social and economic variables are insufficient to understand the rapid increases in support for the far right vote in France. What is it that links the youth, the middle class, and peri-urban France? The common factor is low levels of well-being and pessimism. 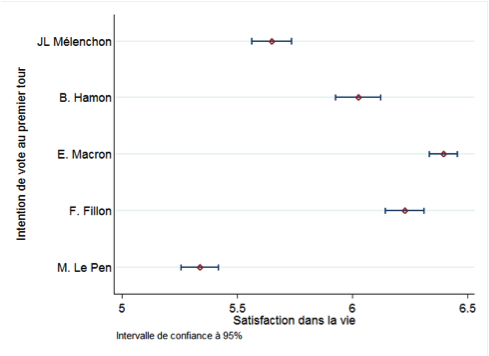 The pessimistic and dissatisfied France supports the Front National, and the optimistic and satisfied class supports Macron. You can also explore well-being in France or the United States with our interactive tools, created in partnership with Sciences Po/Medialab.